What do vegetables, olive oil, red wine, fish, and whole grains all have in common? They are all key foods in the Mediterranean diet. The Mediterranean diet has been, and still is, a well-researched and popular topic in nutrition. The 2015-2020 Dietary Guidelines lists this diet as one of three recommended healthy eating patterns. So why is this diet so popular and so often researched? 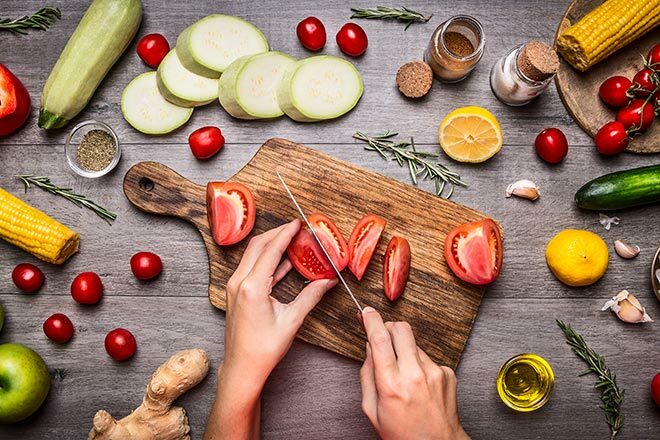 Many long-term health benefits have been associated with following a Mediterranean lifestyle, including weight loss, reduced blood pressure and cholesterol, and reduced risk for various chronic diseases. Yet, it is not about cutting calories and restricting foods like many popular diet trends in America today. Rather it is about enjoying foods you like and eating them mindfully and leisurely. Colorado State University Extension has created a free workshop focusing on the Mediterranean diet. Delivered by your local Extension agent, this workshop will help to answer your questions about key characteristics of the Mediterranean lifestyle and how foods in the diet contribute to health. Plus, you will learn how to make fresh, home-made hummus and try a free sample! After attending this seminar, we hope you leave with strategies for incorporating Mediterranean foods and habits into your life! Two workshops will be held at the Bent County Community Building, Room 111, 1214 Ambassador Thompson Blvd. in Las Animas. A Lunch and Learn is set for May 16 beginning at 12:00 p.m. An evening session will be held May 17 at 4:30 p.m.
Dear Dietitian – Does fish oil help depression?